Club Gold is a Rogue Casino. Allfreechips has decided to place Club Gold on the bad casino list. Allfreechips has decided that Club Gold Casino is no longer considered a safe casino to play at or has not been able to resolve customer or affiliate issues. Club Gold Casino is fully licensed under the government of Curacao and operated by Shadforth Associates Ltd. Launched in 2011, this Playtech powered casino is relatively new to the market but already is favoured by so many for not only having one the most extensive game databases on the Web, but also its dedication to offering outstanding live support in a multitude of languages and unrivalled loyalty rewards. Promotions & bonuses – To start with all new players are eligible for a free bonus to try out the games. This is followed by an amazing Welcome Bonus package that will give the players massive Bonuses with some of the lowest wagering on the market! Not only are there fantastic daily deposit bonus offers, prize giveaways and loyalty rewards, but also their personalized VIP program towers above competition. Banking options- Payments are accepted in USD, CAD, AUD, SGD, EUR, GBP, ZAR. Some of the extensive array of banking methods include: Citadel Commerce, Click2pay, ECOcard, EntroPay, iDEAL, InstaDebit, MasterCard, Mr. Cash, Neteller, Paysafe Card, Skrill (Moneybookers), Sofort, Ukash, UseMyBank and Visa. Now they also offer an additional 12% Bonus on certain deposit methods! Security- All private information is transferred over a secured, encrypted connection powered by Playtech. Software/Games variety - Whether you prefer table games, card games, Slots, video poker or even scratch cards, you can find them all and in scintillating high quality delivered through the unrivalled software provider Playtech. With over 300 games to choose from and more being added constantly, there is something for everyone. 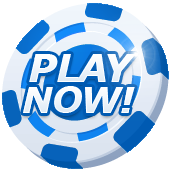 This casino is available in downloadable version only. Customer Support – Multilingual customer support is available 24/7 via live chat, email or toll-free numbers (check their website for availability in your location). Languages – The software is available in English and Greek. The casino offers support in English, German, Russian, Spanish, Dutch, Portuguese, Italian and Greek. Restricted territories – Club Gold Casino does not allow players located in Bulgaria, Curacao, Cyprus, Estonia, Israel, the Netherlands Antilles, the Philippines, Turkey, the USA or any of the Territories of the USA to deposit funds into a Real Money account nor to play in Real Money mode. Players located in these countries are welcome to and may only Play for Fun. I am not the biggest fan of Playtech software. A- the updates eat data, as well as the games. But, if I do play a Playtech casino platform this is one that I do enjoy to play. Club Gold always seem to have various weekly promos. I love the Slot game BLADE. You must give it a try.